On the 10th March 1942, Allan arrived back in the UK at "3 PRC" (Personnel Reception Centre), Bournemouth. On the 7th May 1942, Allan was transferred to "7 PRC" at RAF Linton-on-Ouse near Harrogate. On the 19th May 1942, Allan was due to go to "17 AFU" (Advanced Flying Unit) at RAF Watton in Norfolk, but it was Cancelled. On the 2nd June 1942, Allan was transferred to "9 AFU" at RAF Hullavington near Chippenham in Wiltshire. Here is the No. 15 Course pictured in June 1942. Allan is Front Row, 2nd from the left. You will notice that he is not wearing his US 'Wings' anymore. I believe that RAF pilots were not allowed to wear them when outside the USA. On the 22nd June 1942, Allan was transferred to "59 OTU" (Operational Training Unit) at RAF Crosby-on-Eden near Carlisle, where he was trained to fly Hurricanes. On the 3rd August 1942, Allan was transferred to RAF Milfield in Northumberland. 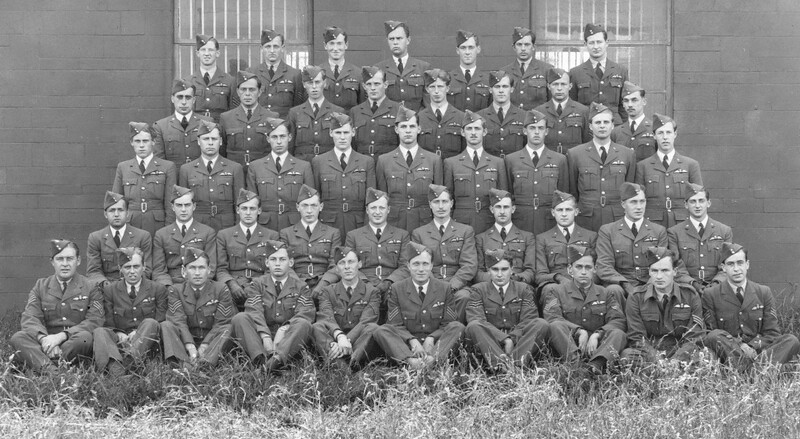 On the 25th August 1942, Allan was transferred to RAF Brunton in Northumberland. On the 19th September 1942, Allan was transferred back to the Transit Centre at RAF Padgate ready for his transfer to India. On the 29th September 1942, Allan was officially transferred to India, and I presume some time after that, set sail (probably from Glasgow) for India on the H.M.T Empress of Russia, to start his Operational Service.